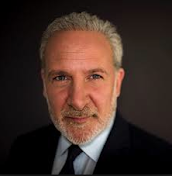 Peter Schiff On The Markets: How Much Gold Should You Own? At a minimum you should have 5 to 10 percent of your portfolio in gold. And you may also increase that, you can have gold stocks, depending on your risk tolerance. Are you looking to preserve wealth? Are you looking to get rich with gold? So different people have different needs.